When we hear the phrase “Pussycat Dolls,” images of leather and lingerie quickly come to mind. So, when Nichole Scherzinger is the woman in question, the last thing we think of is fluff and fairies. But recently, Nicole took a break from her Balmain-like wardrobe, departing from her fierce ensembles in order to rock a soft butterfly-inspired look. The former Pussycat Doll arrived for the “X Factor Boot Camp” in London in an outfit that definitely turned heads. Nicole Scherzinger at the “X Factor” boot camp in London on July 21, 2017. Nicole stunned in a ruffled number by Spanish designer Emilio de la Morena. 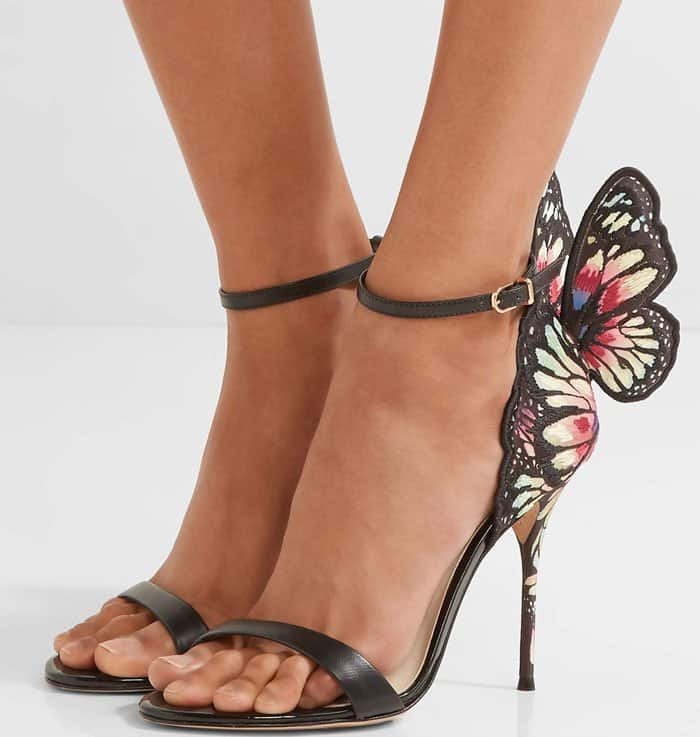 Nicole keeps things fun in the butterfly-themed “Chiara” sandals from Sophia Webster. Nicole strayed away from her neutrals and army greens for a more risqué color: an almost-neon pale blue. The pop star picked out a ruffled skintight dress from Spanish designer Emilio de la Morena. 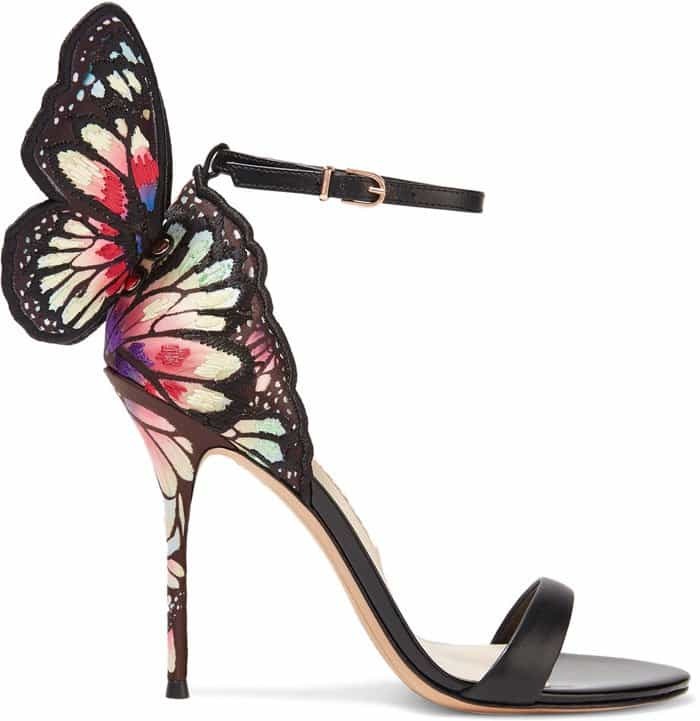 It wasn’t the neon shade or the ruffles that stunned us, it was Nicole’s multicolored and winged Sophia Webster “Chiara” sandals. Another notable thing about the “X Factor” judge’s look was her summer hair. 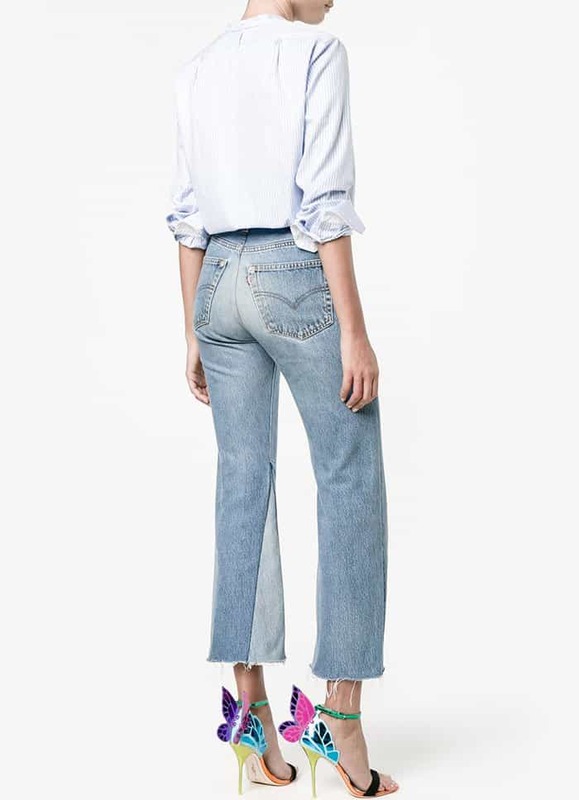 It seemed to be a mix of Kim Kardashian’s famous wet tresses and Pinterest beach waves. We have to admit, we loved it. Nicole fixes her hair as she poses for the cameras. The former Pussycat Doll pauses to take a quick snap with a fan. Nicole looked like an absolute fairy for the “X Factor Boot Camp” kick off in London — a huge contrast to what usually happens on the show. In case you aren’t familiar with the show’s boot camp concept, we’ll fill you in. The camp is designed for the early contestants of “X Factor,” and prepares each participant for his or her stage run. Zayn Malik is one famous past alumnus of the program. We were hoping Nicole would lead some of the dancing herself, but judging by her outfit, we’re guessing she didn’t. 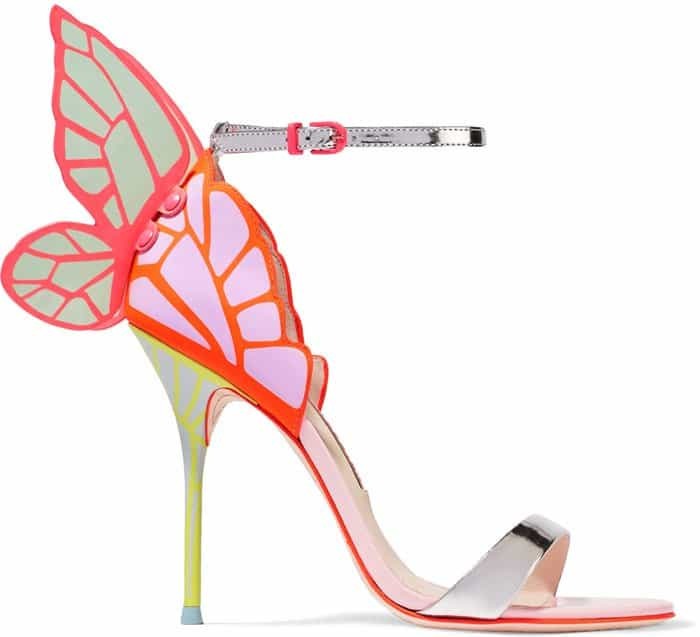 Shop the Sophia Webster “Chiara” sandals in different versions at Net-A-Porter and Neiman Marcus.